What do you do when a product line continues to evolve yet is still haunted by its past? You rebrand it, of course. That’s exactly what Intel is doing with the latest Atom processors – electing to brand select Silvermont silicon as Celeron and Pentium components. 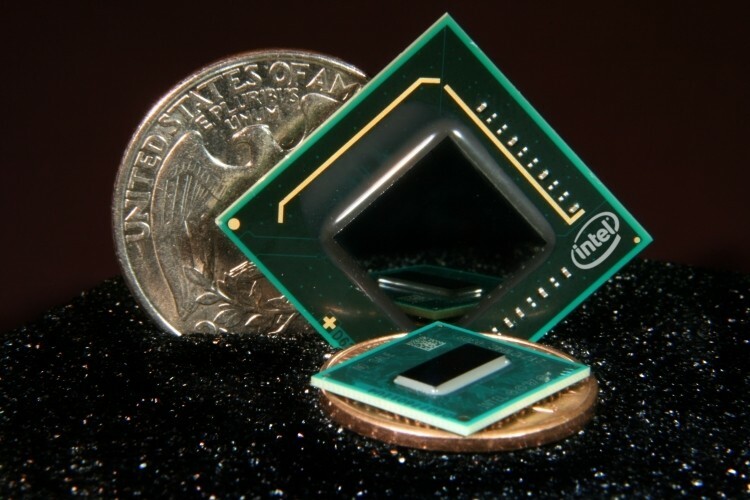 Intel said the reason for the rebanding has to do with performance, as some versions of Silvermont are capable of performing on par with current Celeron and Pentium processors. True enough, there are some variants of the platform that will ship with PC-like features including SATA and PCI. But is that really the reasoning behind the idea to ditch the Atom brand? Perhaps, but there’s another likely reason as well: netbooks. The Atom processor is synonymous with underpowered netbooks that attempted to overtake the market just before modern tablets arrived on the scene. These notebook alternatives were easy on the wallet but lacked any serious processing power, a reputation that has stuck with the Atom brand ever since. Either way, we can expect to see Silvermont / Atom / Pentium / Celeron chips show up in a number of devices later this year. Notebooks, convertibles, all-in-ones and desktops running either Android or Windows 8.1 are all fair game. We are hearing, however, that chips destined for tablet use will likely not take on the new branding, which will initially be limited to more capable systems like all-in-ones, hybrids and notebooks.